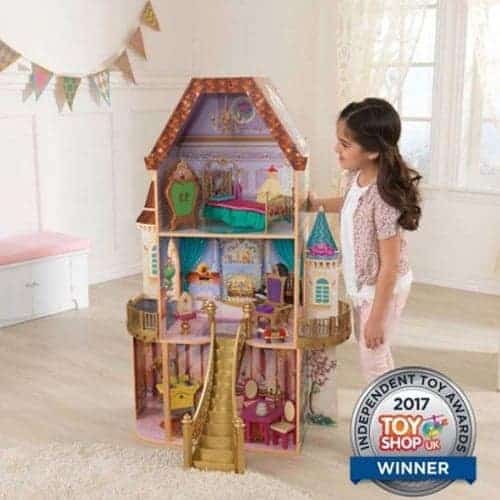 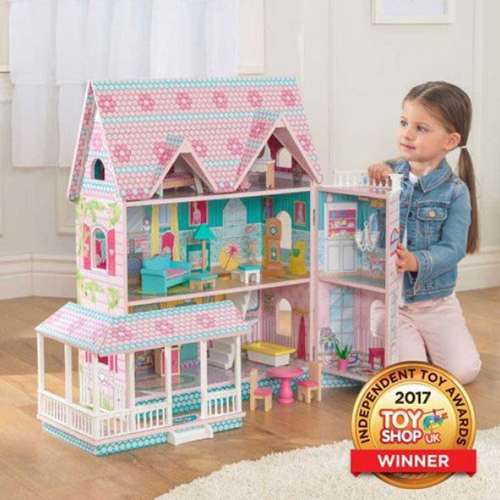 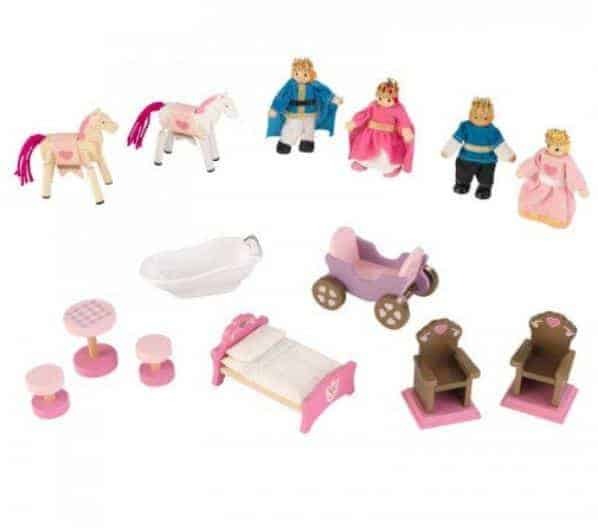 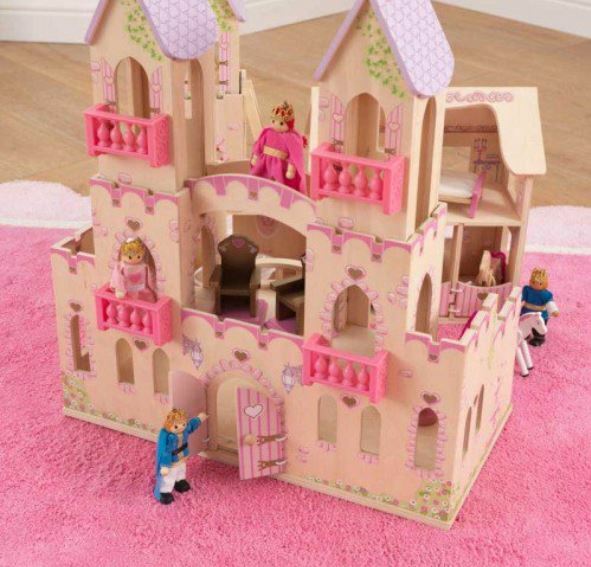 Our Kidkraft Princess Castle is a beautifully detailed and very study design doll house. 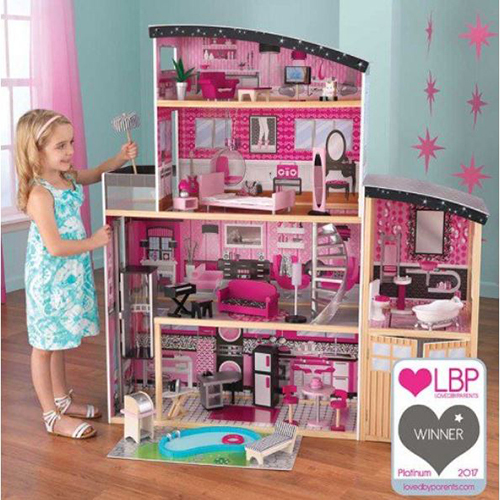 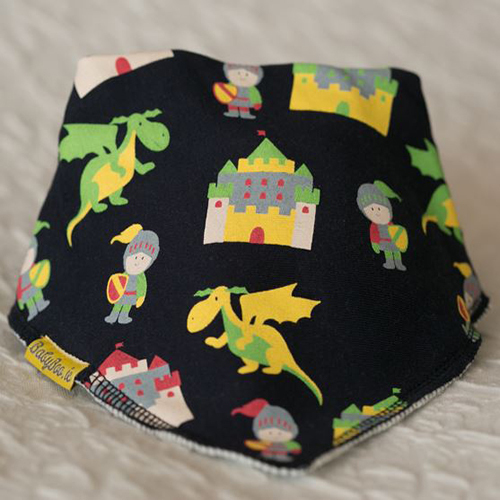 It has 3 levels of play and stands just over 2ft tall so can be placed on table or floor. 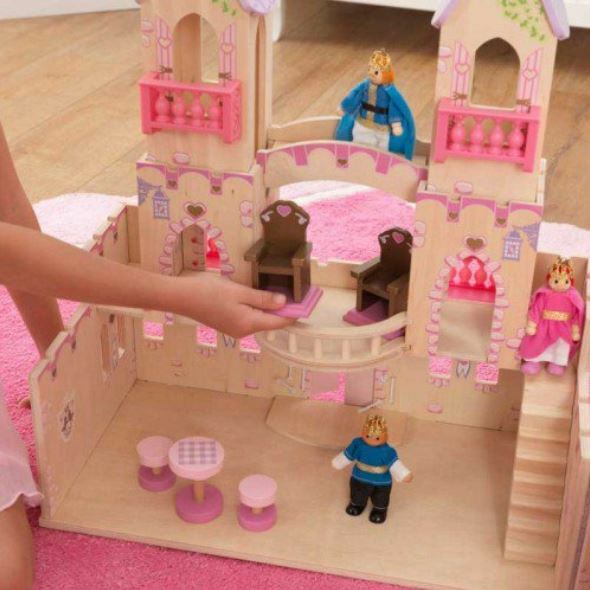 We Delivery our Kidkraft Princess Castle and all our Kidkraft Dollhouses throughout Ireland, Northern Ireland, England, Scotland, and Wales. 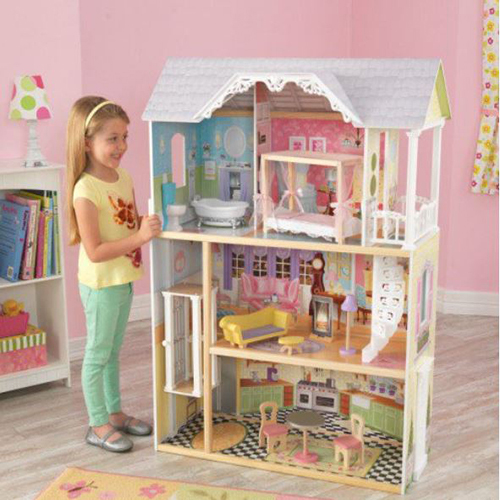 This Wooden Doll house comes with detailed step by step instructions for assembly. 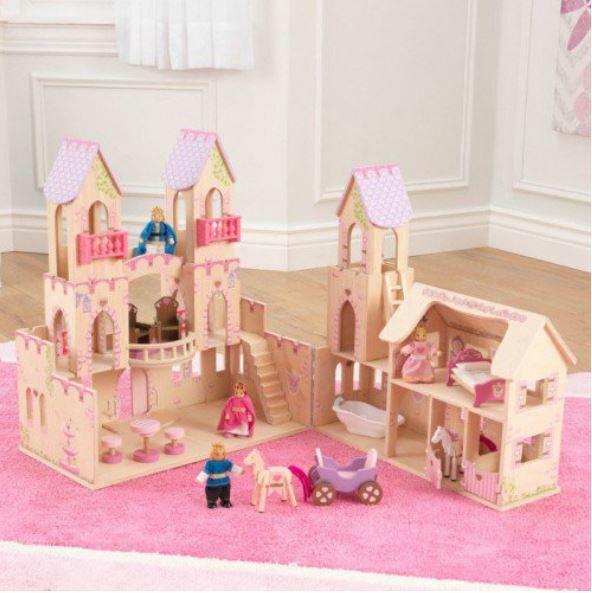 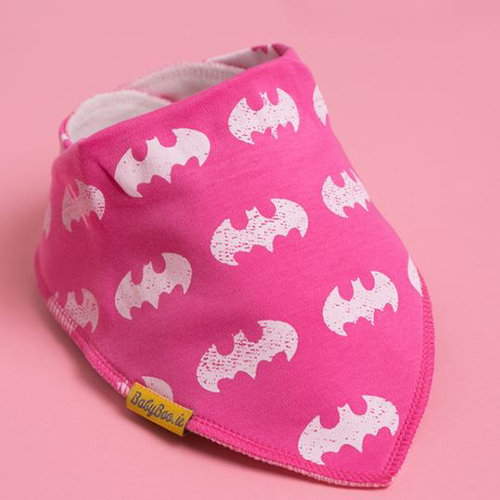 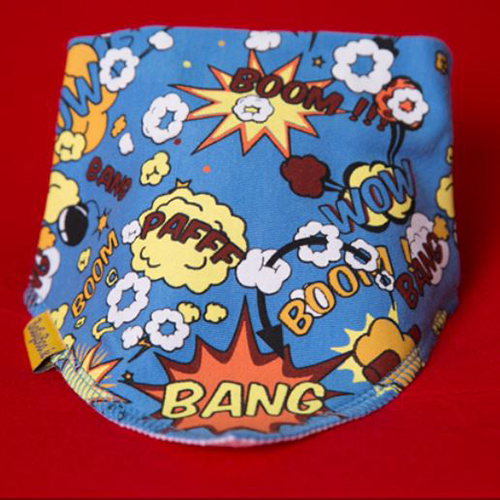 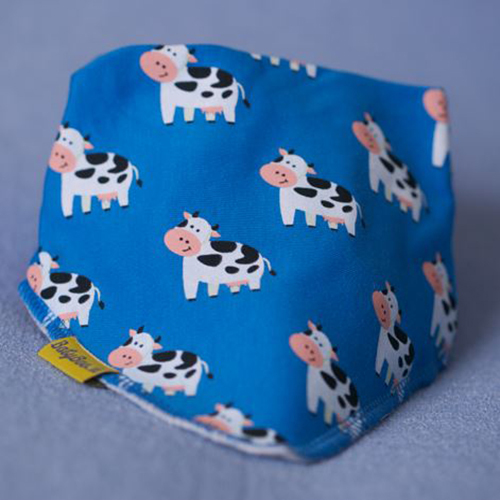 Made from – MDF, Plastic, Solid Wood, and Fabric.